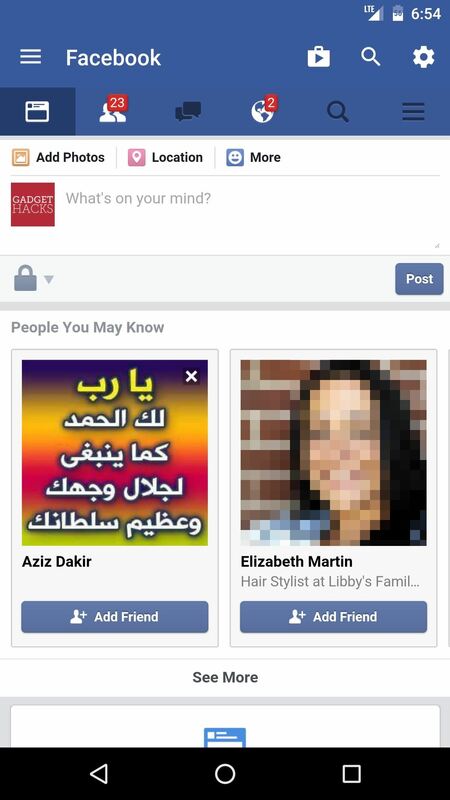 Several major web services—most notably Facebook—have horrendous Android apps that occupy way too much space and drain battery life at an alarming rate. Such issues have led to a new trend where third-party developers create minimalist "lite" apps that are essentially the mobile website bundled into a native Android wrapper, freeing up storage space and saving battery life without sacrificing many features at all. 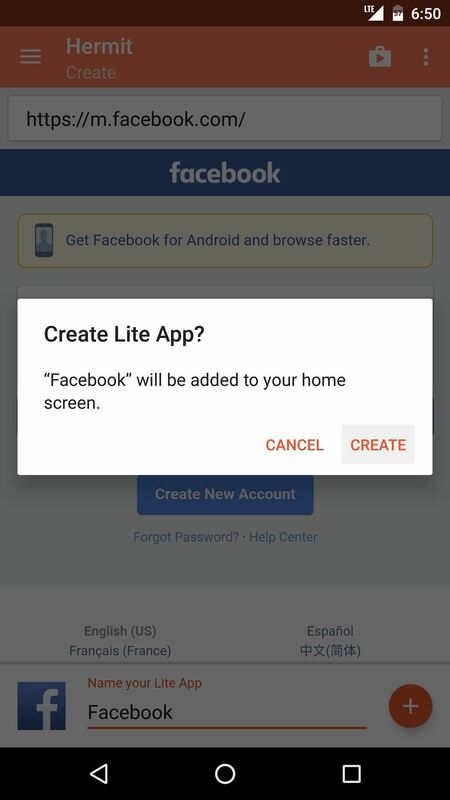 But lite apps aren't available for every website, so developer Chimbori recently released a utility that will allow us to create our own lite apps. It only takes a few seconds to turn your favorite website into a native Android app, and the interface is not only fully customizable, but also ad-free as well, so I'll show you how to do it below. To get this one going, the first thing you'll need to do is install the app, which is called Hermit. Next, simply open Hermit, then tap the floating action button in the bottom-right corner. From here, you've got two options—either enter a website's URL into the bar at the top of the screen, or select from one of the presets available underneath this menu. Regardless of which method you chose, the set-up process will be the same from this point onward. 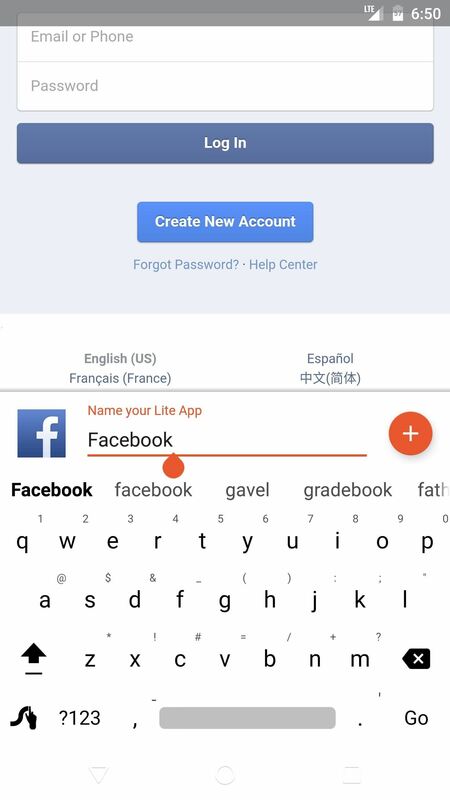 Once you arrive at the website's main page (or the page you want to see when you first open your lite app), use the text input field at the bottom of the screen to give your app a name. 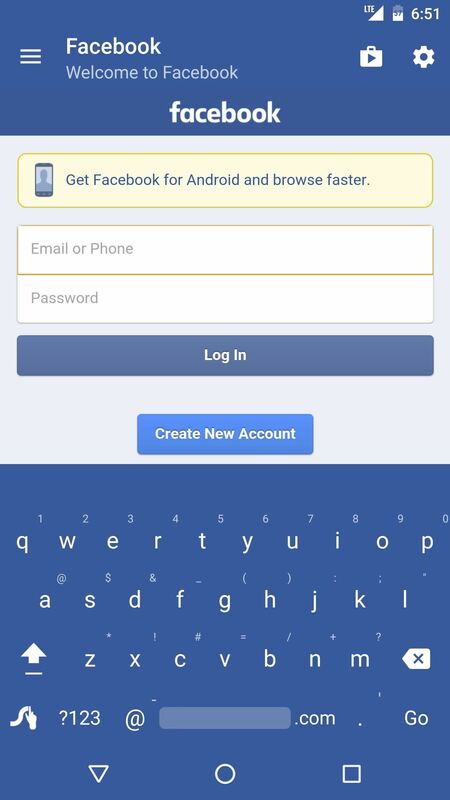 Once you've done that, tap "Create," then your new lite app will launch. If needed, you should log into the website at this point. 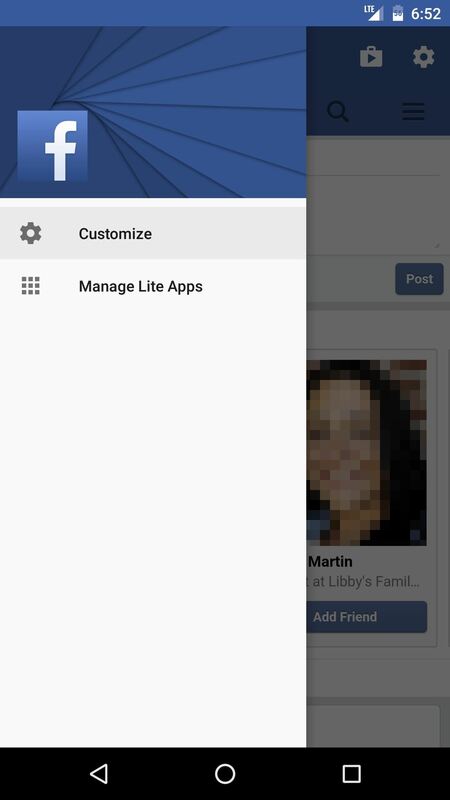 From here, pull out the side navigation menu, then tap "Customize" to make a few tweaks to your new lite app. 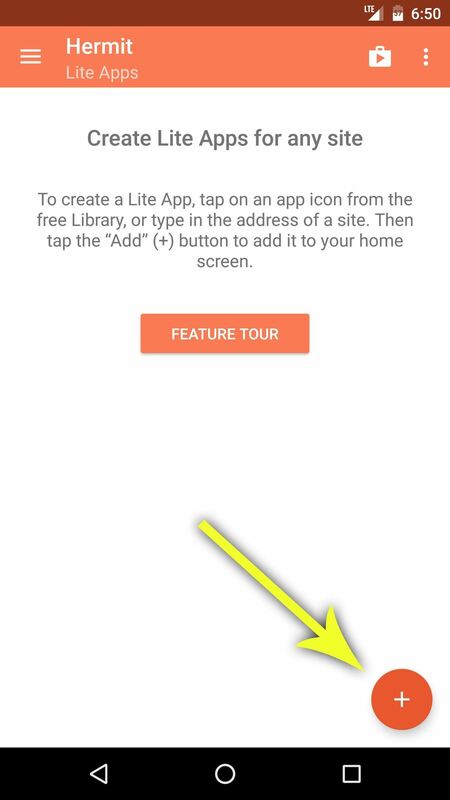 From here, the Behavior tab offers several interface options, including the ability to add "Pull to refresh" functionality, make the app full screen, and have external links open in your lite app. 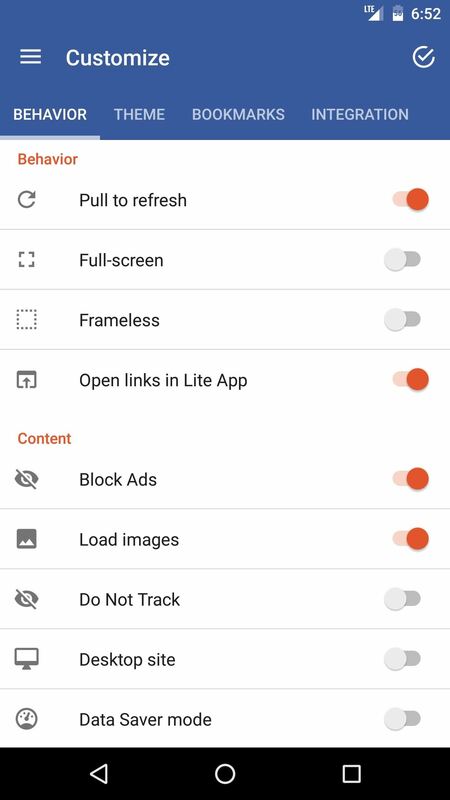 Beyond that, the "Block Ads" option is enabled by default, and there are a few other options that let you customize the content from website. 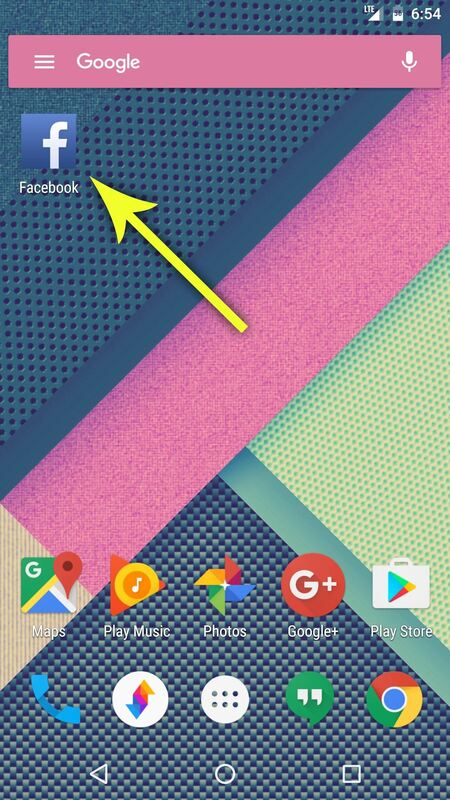 Next, swipe over to the Themes tab, where you can set custom colors for the status bar and action bar at the top of the screen, or even choose a custom app icon. 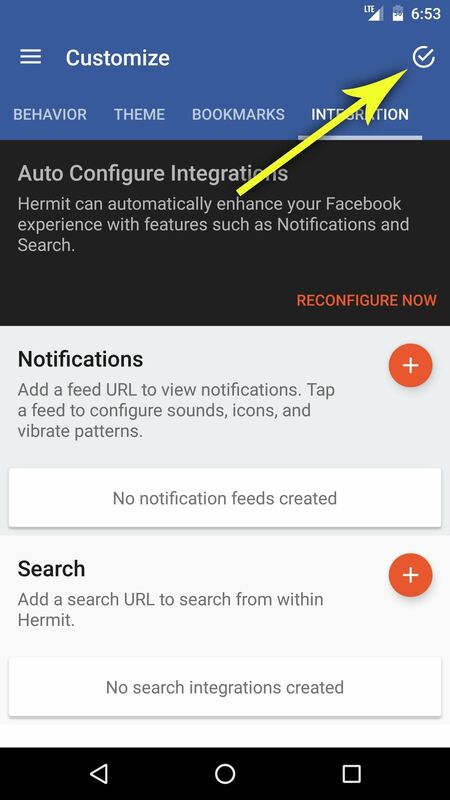 Then, the Integration tab lets you set up notifications and search functions, so your lite app can behave exactly as a regular app. But when you're done making changes here, be sure to tap the check mark in the top-right corner to save your work. 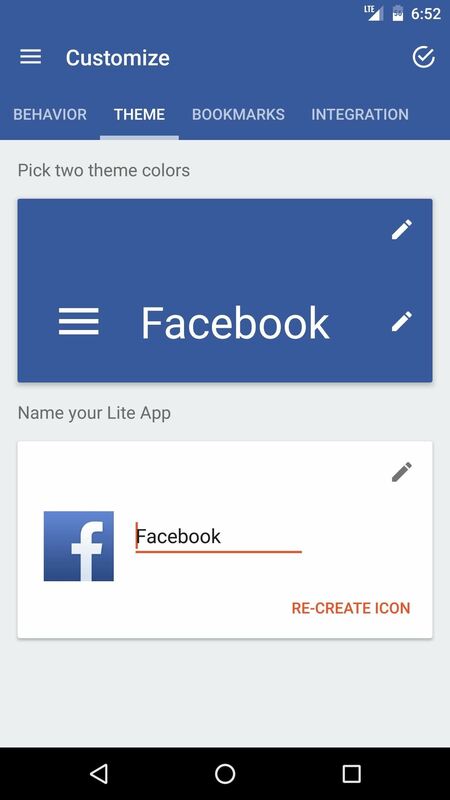 From now on, you'll be able to use your lite app like any other. 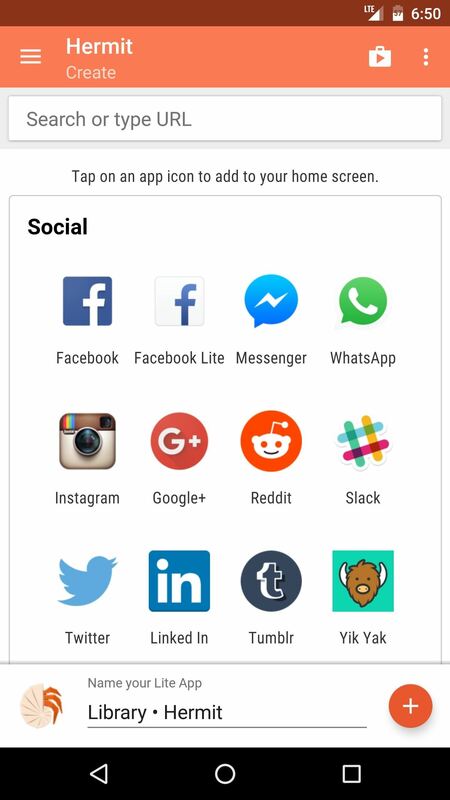 Hermit automatically adds an icon to your home screen for any app you create, so just tap this to get going. The interface for your new app even uses Material Design, though the rest of the app is basically just the mobile version of the website, so it's a native Android experience without all of the battery drain. Websites are ok, but what about apps ? What can this " hermit" do for them?